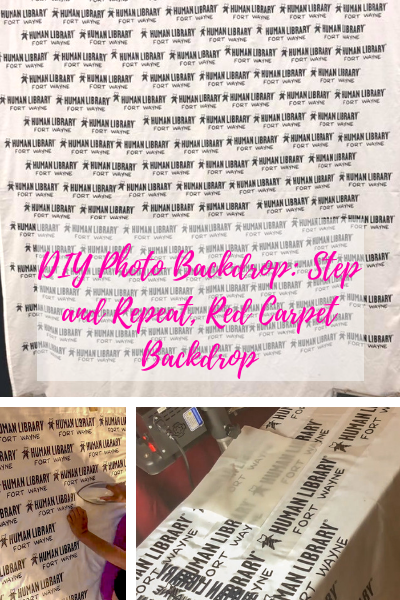 Give your event or party an upgrade with this DIY Photo Backdrop that I made in Cricut Design Space! This DIY Photo backdrop is a step and repeat backdrop that you can customize to fit your event needs. Definitely red carpet worthy, and with the Cricut, you can customize in so many ways. 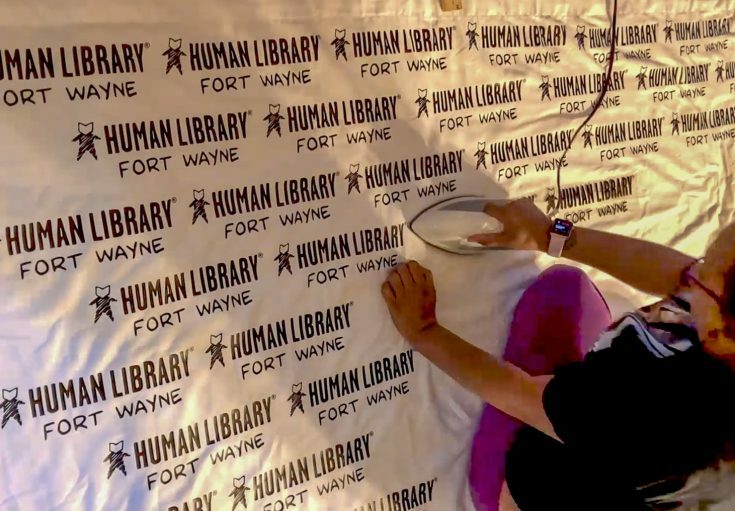 Celebrated a 50th birthday party, an event for your local humane society, or any other occasion this DIY photo backdrop can really dress up and elevate your party. 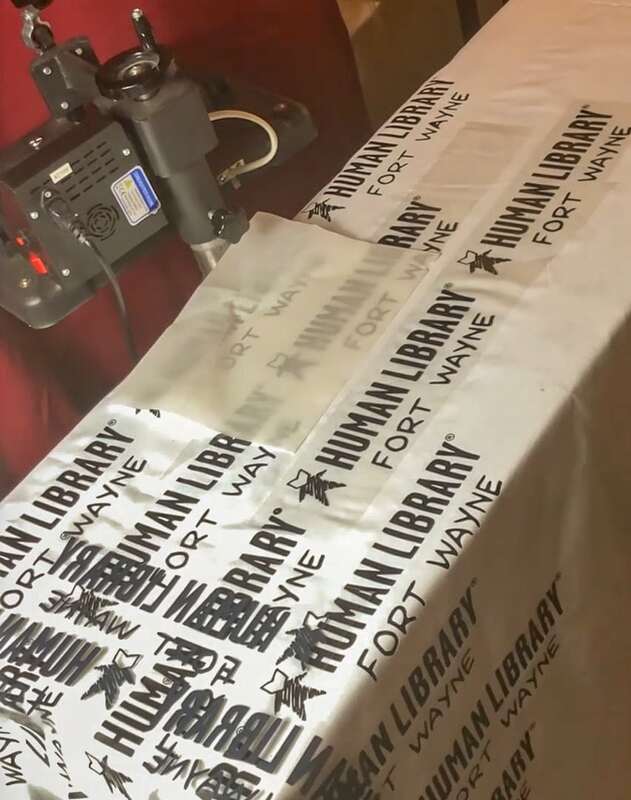 I recently made this step and repeat backdrop for an upcoming event for a local library. Just like a backdrop you see actors and actresses standing in front of for a movie premiere. Plus it gives your party or event a whole new level of style. Plus these make a wonderful photo booth backdrop! Weddings, birthday parties, and more are always in need of a fun photo booth for guests. Grab some silly props or if you want elegant, make sure the lighting is spot on. What I love most about this step and repeat backdrop is how simple the process is. You don’t need a photography studio to have a beautiful baby shower or bridal shower party photos. You can add a few studio props, photo booth props or put this diy photography backdrop on a backdrop stand and leave it pretty much as is. Granted it will take you some time to apply the design you want, but within a short time, you will have a backdrop that is affordable and fit for your event. I use a sheet to make this diy backdrop so it makes it extremely affordable. I can’t even imagine the price tag on this if you were to buy this from a printing company. Grab your Cricut Air 2 and create your custom design and print off a ton of them. Then lay them out and start ironing them on so they are evenly spaced out. I used my ruler for this and it worked really well. I find that heat transfer vinyl is nice because it allows you to work pretty fast once you get the spacing figured out. A bit area is making sure you have the right lighting. If you want a dim lighting, reach for twinkle lights or lamps with light bulbs. Make sure the ambiance of the room fits your party. Or if you want it to be well lit ensure you have enough lighting so your guest can enjoy. Create a drink that is special for your party. Whether it is an evening cocktail or a mocktail (no alcohol) give your guest something fun to sip on. I like to take a really tasty drink and then come up with a name that fits the event. This let’s guest feel like they are enjoying a drink made specifically for your party. Make sure you try to have fun at your party. Plan ahead and get things lined up so you aren’t spending your whole party running around getting things done. Invite special guests, have games, or even music playing to keep the beat light and relaxed. Having a photo booth with one of these photo booth backdrops is always a winner. Create a well-rounded theme for your party. From the foods, you serve to drinks and decorations. When you have a theme it is all smooth and flows nicely. If you can afford it consider handing out a party favor or two. Whether it is a candy bar you let your guests scoop up some goodies they want, a wine glass, or even shirts, let them leave with something in their hands. Want even more Cricut and Design Space Tutorials? Check these out! 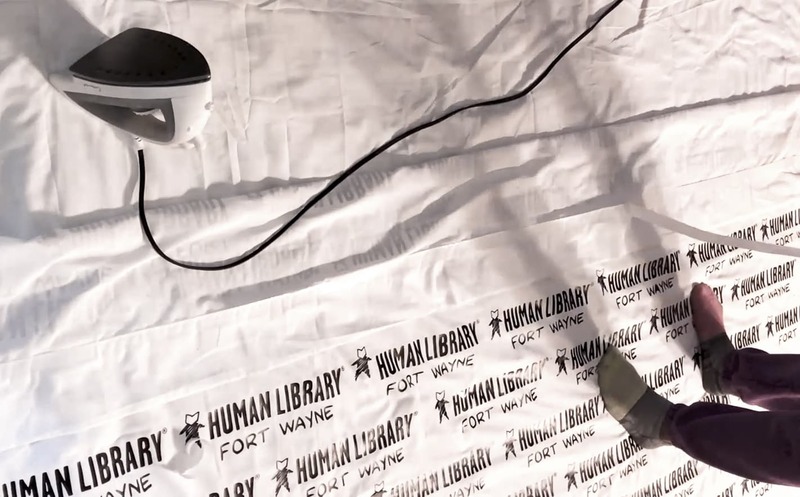 Create and cut out your design with HTV. 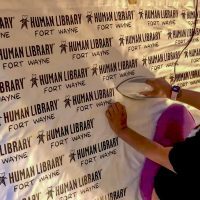 Fold over the top of your sheet and use the fabric bond to create a loop that you can fit a pole through. Make sure you stagger with each row. If I had an easy press that would have been the easiest way to do this, but I used the board and pressed in sections folding the top, pre-pressed over the top of the board, next time I will be buying the easy press lol.